Wichita, KS (September 12, 2017) – The Tallgrass Film Association today announced that actress, filmmaker, and outspoken social and political activist, Rose McGowan, will be this year’s recipient of the Ad Astra Award during the 15th edition of the Tallgrass International Film Festival Presented by Consolidated Equities Trust (October 18-22) in Wichita, Kansas. 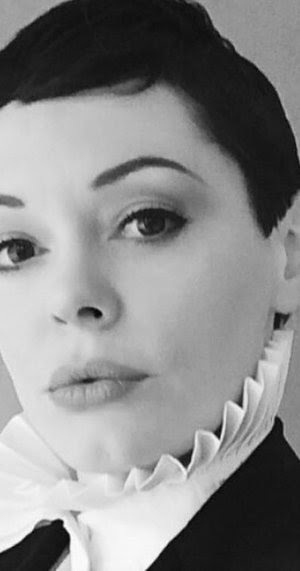 Tallgrass will present the Ad Astra Award to Rose McGowan at the Scottish Rite Theater (332 E 1st St N) prior to a screening of her critically acclaimed short film, DAWN on Thursday, October 19 at 9:00PM. A Q&A will follow with McGowan moderated by film critic and host of The Canon, Amy Nicholson, and Festworks.com’s John Wildman. The special evening will conclude with a retro screening of PLANET TERROR at 9:45PM, including an introduction by McGowan. Tallgrass will kick off its tribute to Rose McGowan prior to the festival with a free screening of SCREAM, on Final Friday, September 29th in Gallery Alley, following a reel of 2017 Coming Attractions festival trailers. Sponsored by J. Andrew & Liv + Work. McGowan has been a dynamic and provocative presence on film and television for the past two decades. A favorite of the most iconoclastic directors, she has appeared in acclaimed films by Gregg Araki, Wes Craven, Brian De Palma, Robert Rodriguez and Quentin Tarantino. In 2014, her directorial debut, DAWN (2014) was nominated for the Short Film Grand Jury Prize at the Sundance Film Festival. McGowan made an indelible mark on the independent film scene with her iconic debut in Araki’s THE DOOM GENERATION (1995), which earned her a Spirit Award nomination for Best Debut Performance. She followed that success with Craven’s SCREAM (1996), which became one of the highest grossing films of the year, and launched a film franchise that arguably revived the horror genre. Additional strong performances in indie films included GOING ALL THE WAY (1997), SOUTHIE (1998), and JAWBREAKER (1999). McGowan also found great success on television, in Showtime's “The Killing Yard” (2001), Aaron Spelling’s popular series “Charmed,” (2002-2006), and “Nip/Tuck” (2009), among others. McGowan returned to the big screen with a vengeance in the celebrated Grindhouse double-feature, including Rodriguez’s PLANET TERROR (2007) and Tarantino’s DEATH PROOF (2007). More recent appearances include CONAN THE BARBARIAN (2011), and television stints on both “Chosen” (2014) and “Once Upon a Time” (2013-2014). McGowan will next be seen in Jenna Marttison’s indie sci-fi thriller, THE SOUND. The full lineup for the film festival will be announced on September 22. VIP TALLPasses for the Tallgrass Film Festival are available for purchase now with general admission tickets going on sale on September 22, coinciding with that announcement. Please visit tallgrassfilmfest.com for more information.